I’ve been using Google’s Chromecast since its release on July, 2013 for sending video and mirroring the screen to my HDTVs from my various Android devices. It’s relatively simple to configure, and it generally works. When I switched to Windows 8.1 on my Dell Venue 8 Pro and my Microsoft Surface Pro 3, I was hoping that the Miracast video sharing standard would take the place of Chromecast. Long story short, when I evaluated the Belkin and Netgear Miracast adapters, I was sorely disappointed. Configuration was a challenge, firmware upgrades required more steps than seem proper for consumer technology, and I couldn’t successfully connect either of them to both of my Windows 8.1 tablets. Even when I could connect them, performance was spotty at best. My general conclusion: Miracast was a failure. 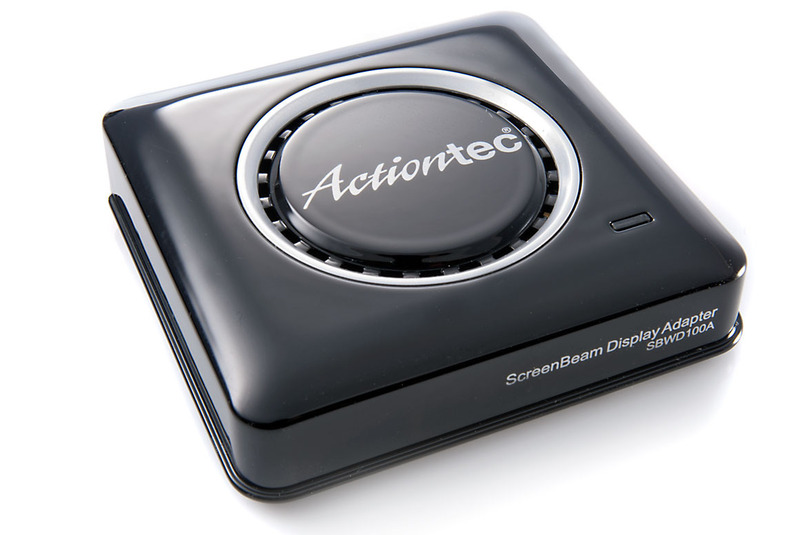 Then, I read some positive reports about Actiontec’s ScreenBeam Pro Miracast Receiver, and thought I’d give it a try. Actiontec was kind enough to provide a review unit, and while skeptical, I finally found some time yesterday to review it. I’m very happy to say that the ScreenBeam Pro redeemed Miracast in my eyes–it was easier to set up than Chromecast (I just plugged it into my TV via HDMI, added power, then easily added it as a device to all of my machines), it connects without issue back and forth between my Venue 8 Pro and my Surface Pro 3, and it performs admirably. Video streams in HD quality and with excellent sound, and screen mirroring would be perfect for meetings, education, etc. I wouldn’t recommend it for gaming given a slight lag, but then again I haven’t found Chromecast fully adequate for gaming, either–perhaps WiFi-based screen sharing just isn’t up to par yet for completely lag-free gaming. Here’s a short video review, shorter than I expected because everything just worked. 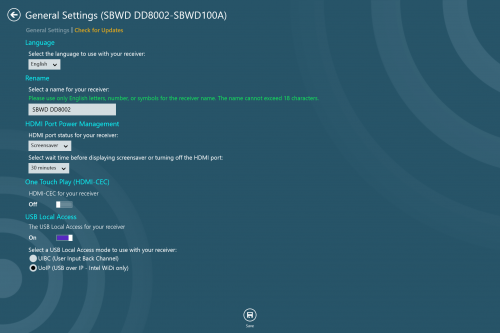 Actiontec provides a nifty Windows 8.1 app in the Windows Store for configuring the ScreenBeam Pro and easily applying firmware updates. The app worked flawlessly, and made changing the receiver’s various settings quick and easy. In conclusion, I’m happy to say that all of my concerns about Miracast as a general standard were unfounded. There might be other excellent Miracast adapters, but you certainly can’t go wrong with the ScreenBeam Pro. Highly recommended.